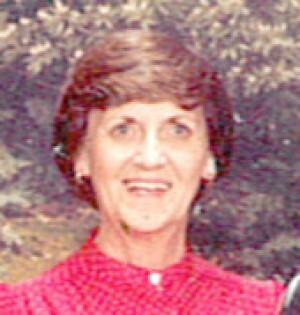 Pauline A. Carnes - Crisp of Commerce, passed away Wednesday, Nov. 23, 2011, at Eastwood Manor Nursing Center in Commerce. She was 90. Mrs. Crisp was born July 18, 1921, in Locust Grove, to William Perry and Marie (Riley) Fogleman, Sr. She had lived in Picher and Miami areas all her life. She was a member of the Commerce Community Church, Rebekah Lodge and was President of the PTA Whitebird School. She had worked at Miami Cleaners and OK Cleaners and taught Sunday School at "The Baptist Misson" in Picher, and was a member of the Cherokee Tribe. She married Guy Edward Carnes, Sr. and he preceded her in death July 5, 1972. and then married Al Crisp and he preceded her in death in 1976, preceded by her parents, a brother William Perry Fogleman, Jr., a son Larry David Carnes and one grandchild Marcy Streeter. Funeral Services will be at 2 p.m. Monday Nov. 28, 2011, at the Paul Thomas Funeral Home in Miami. Rev. Bob Rabel and Rev. Geoff Buffalo will officiate. Grandsons will serve as pallbearers. The family will receive friends from 4-5 p.m. Sunday at the Paul Thomas Funeral Home in Miami. Interment will be in G.A.R. Cemetery in Miami.